How to convince potential buyers who think they know what your brand is all about to take another look at your new model and its superior level of sophistication. 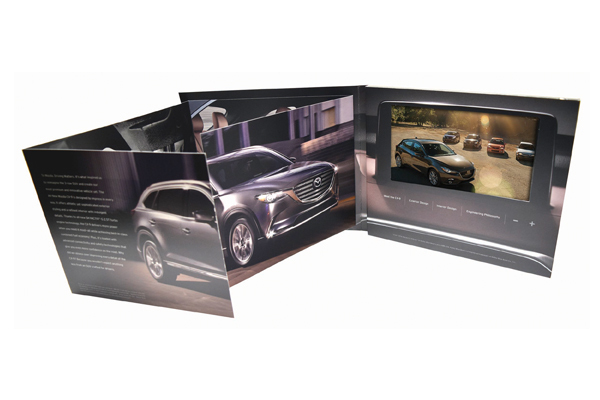 Partnering with Mazda’s agency, Americhip developed and produced a sophisticated Video Direct Mailer for its new Mazda CX-9. 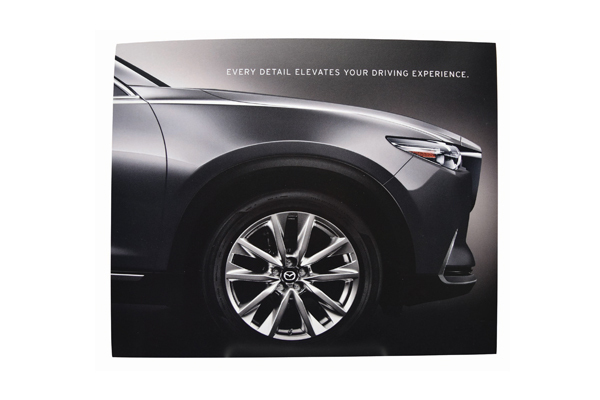 Drawing from the campaign’s tagline—Every Detail Elevates Your Driving Experience—this video mailer was impeccably designed with every detail carefully thought through. The piece delivered in a sleek sleeve that reveals a tight shot of the front of the automobile. When opened, the consumer is put right in the driver seat with the wheel in front of them and the large center console coming to life with our patented 7” VIP screen. 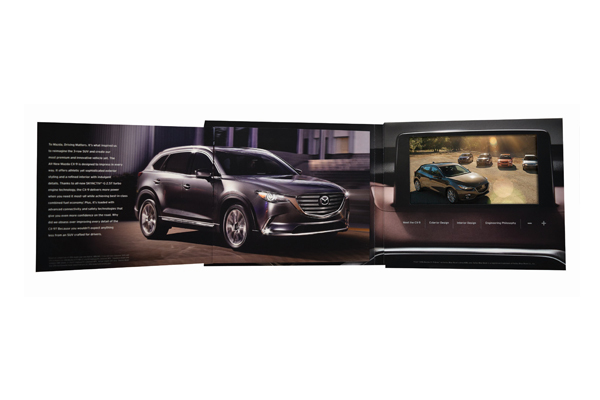 A tipped-in, gatefold brochure includes highlights of the elegant design and premium materials, including an actual swatch of the leather seats that was tipped onto the brochure. Consumers were then able to learn more through four informative videos about the engineering philosophy and the exterior and interior design elements. When you are looking to wow your potential buyers, partner with Americhip to create a one of a kind Video Conquest Mailer.